Welcome to the world of OROGOLD Cosmetics Stores. You will feel the warm reception prior to crossing the threshold into luxurious experience of OROGOLD Cosmetics. As soon as you approach the store you will be invited in by one of our knowledgeable staff members to sample a selection of our unique product offerings. Our staff has been thoroughly trained in all aspects of our products and on comprehensive skin care principles. The know every collection: which products are included in it, how to use them and which order to use them in as well as the best product pairing across different collections. 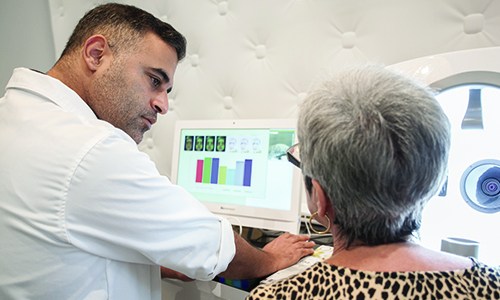 Every interaction begins with a personalized skin consultation. Of course, if it is your preference you may browse unattended. We believe that the personalized service and knowledgeable advice offered by our skin care specialists is absolutely beneficial to shoppers. During a skin consultation staff members will inquire about your skin. They will profile what type of skin you have, what are areas you would like to improve, which areas you think are doing well, and whether you have any skin conditions or specific concerns. All of this is essential to the personalized consultation process. When they have gathered sufficient information they will provide you with recommendations on which products work best for your individual skin. Before purchasing any product they will invite you to try it to ensure you are impressed with it before committing to it. At this point you will be treated to a complimentary facial at one of our plush demonstration stations. A skin care specialist will apply any product you request to your skin so you may experience it for yourself. Sit back and relax in one of our sumptuous OROGOLD chairs while you are lavished with attention and gold. At checkout you will be presented with your luxuriously packaged purchases inside a signature Orogold shopping bag and your copy of Orogold Lifestyle Magazine. In the back of your Orogold Magazine you will find a personalized log section. There, your beauty advisor will record information about your invoice including invaluable information such as the name of the person who assisted you, the location and which products were purchased. On the page immediately following that you will find the first page of a 3 month beauty regimen calendar. Your expert adviser will document your specialized skin care regimen there. 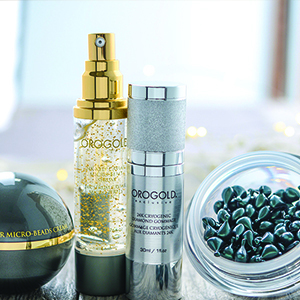 This will support your new skin care routine by giving you step-by-step procedures for the correct use of Orogold products. Once you take home your Orogold Lifestyle Magazine peruse the pages at your convenience. Cosmetic products are not the only thing important to our customers which is why we included invaluable articles pertaining to fitness and nutrition, lifestyle choices, fashion, and top tourist destinations just to name a few. This glossy also includes expert advice and quizzes to inform and entertain you. You may also leave your email address to be updated with any exciting things going on at Orogold. We will let you know of any promotions or events in connection with the Orogold store where you made your purchase. We look forward to seeing you at one of our many Orogold store locations throughout the world. Come in for the indulgent experience or come in for the luxurious gold products, either way you will leave with an unforgettable experience. To find a store near you visit http://www.orogoldstorelocator.com. If you have any questions about specific products feel free to send an email to info@orogoldcosmetics.com. I had the pleasure of visiting the beautiful Orogold store in Maui while on vacation. Having worked in the aesthetic industry for years the products just made sense. I was skeptical in the beginning because I wanted the data and research to back up the products, call me analytical. Thankfully I had a patient store representative that could appreciate my concerns and show me clinical studies that support these fine products. The experience at the Santa Barbara Store was more than fantastic! Lee was amazing and the products sell themselves. Do yourself a favor and get there asap! Can you send me it, please? No problem! Please check your email for a message from our customer service department. 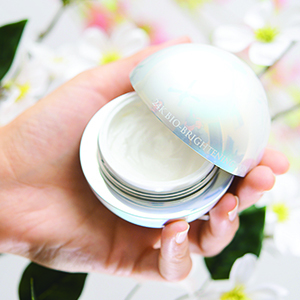 Orogold is truly a wonderful skin care product. I’m very happy with my results and plan on being a loyal client. Thank you Orogold for giving my youthful look back. been at the Galleria store in Dallas recently and Hadar helped me. fantastic young lady. Is Orogold for dark skin person….. Yes, our products are suitable for all skin tones.